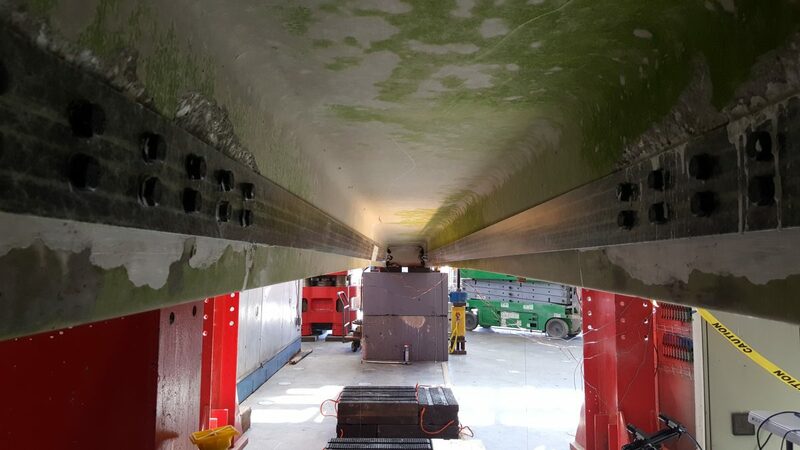 CCEE researchers are using fiber-reinforced polymers (FRP) for both the repair of existing bridges and enhancing the durability of new bridges. The department is collaborating with NCDOT to retrofit existing prestressed concrete bridges to extend their useful service life. Dr. Rudi Seracino and Ph.D. candidate Army Lt. Col. Brad McCoy are part of the team conducting research on previously in-service bridge beams provided by NCDOT. This work was featured in a recent Press Release from NCDOT. Read more here. CCEE researchers performing tests of a 30 foot long C-Channel Beam provided by NCDOT. 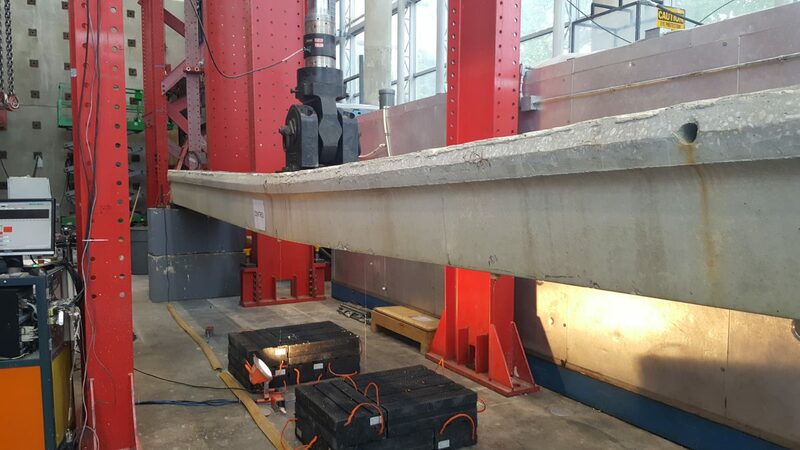 This beam was in service for almost 40 years before it was replaced due to deterioration from corrosion of the internal prestressing steel. View from under a C-Channel Beam showing the mechanically-fastened FRP plates. These were designed for a rapid retrofit that restores both inventory and operation load ratings of the bridge, preventing the need for costly detours, vehicle load restrictions, or possible closure. Day of Giving, and a little friendly competition.